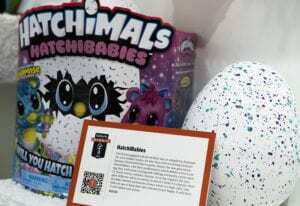 Fatherly promoted its 100 Best Toys of 2018 while allowing kids to interact with the items. 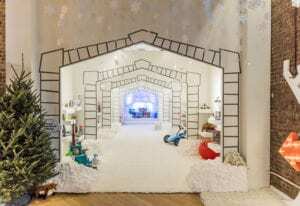 It’s “the most wonderful time of the year” for many consumers, but the holidays can be stressful for parents looking for suitable gifts for their children amid the hustle and bustle of the season. 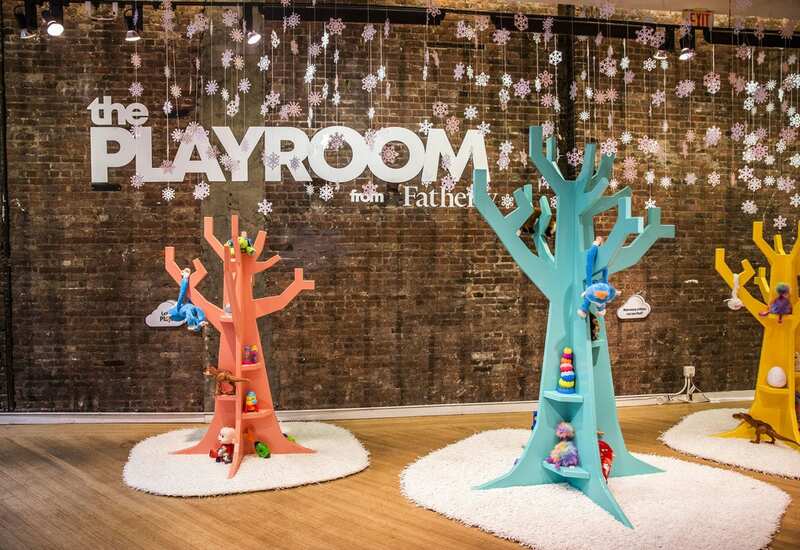 To alleviate that pain point, introduce its shoppable list feature and offer kids fun, educational programming, Fatherly created a pop-up dubbed The Playroom for kids and parents in New York City from Dec. 6-9. 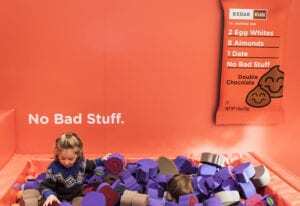 The company, a digital media brand for dads, teamed up with a host of sponsors to deliver the family-friendly experience, which marked its first official public event. 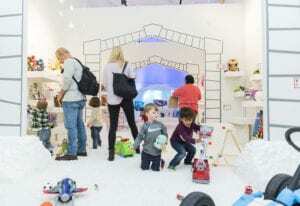 The pop-up served as a prime opportunity for Fatherly to showcase its curated, shoppable list tool for parents, Fatherly Favorites, which spans a range of categories. 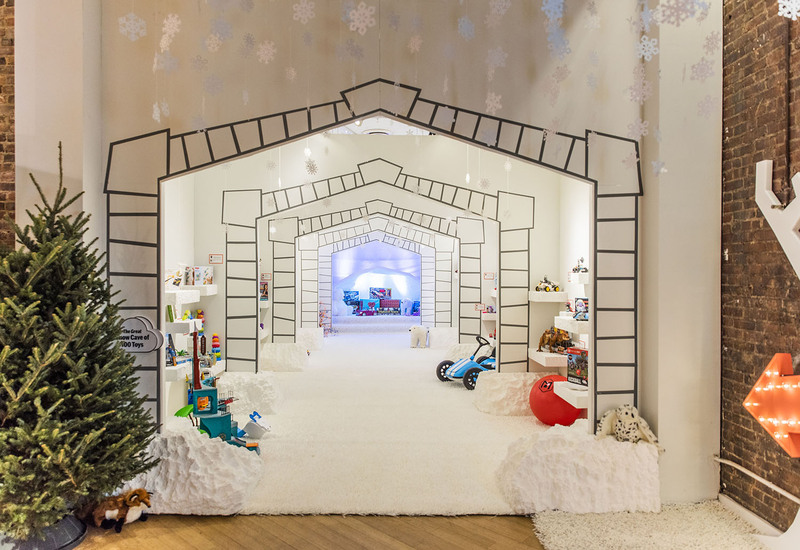 For The Playroom, the brand promoted its 100 Best Toys of 2018 list and gave kids a chance to physically interact with the items through a variety of activities and workshops parents could sign up for on a microsite. 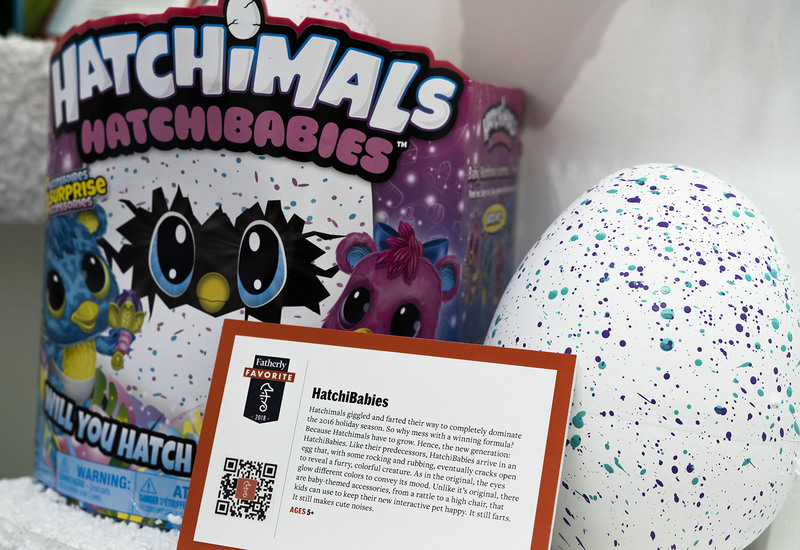 Parents could watch their children play with the toys, see which ones resonated, then buy the items on-the-spot thanks to on-site QR codes linked to a custom Amazon shop created by Fatherly. 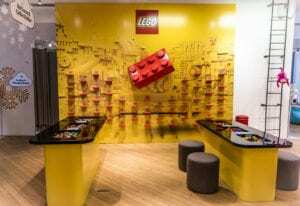 Three sponsors were at the forefront of the pop-up experience: littleBits, LEGO and RXBAR Kids. 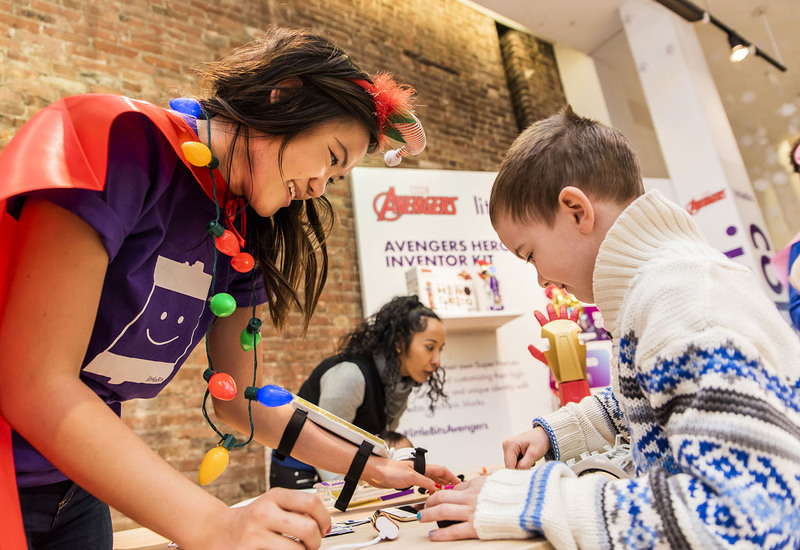 At the littleBits STEM workshop, kids assembled Avengers Hero Inventor Kits and learned how to code a gauntlet to perform various tasks. At the LEGO workshop, kids were encouraged to use their imagination to build anything that came to mind, then filled out a card that said “My wildest wish build is…” and saw it displayed on a dedicated LEGO art wall. RXBAR Kids offered a ball pit filled with custom-made foam pieces that replicated the ingredients found in its products, like raspberries, apples and chocolate chips. 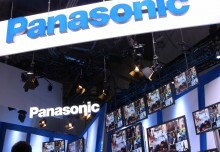 The brand also captured kids jumping into the pit through a GIF experience. 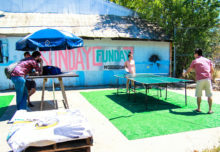 Fatherly additionally partnered with local organizations to fill its robust programming schedule, which was designed in partnership with Sawyer, a platform that connects kids with enriching, local experiences. Book Nook and Treasure Trunk offered storytime for different age groups; Emaya and PopFit conducted fitness classes; five different groups provided musical performances; Private Picassos led an arts and crafts hour; and Fast Track Languages taught a language class. There was also a 3D printing demo by 3doodler, a STEM workshop by Nory, a hipster puppet show by Puppetsburg (nice) and a performance by Anja Dance Indian Dance Company. And on the final day of the pop-up—photos with Santa. 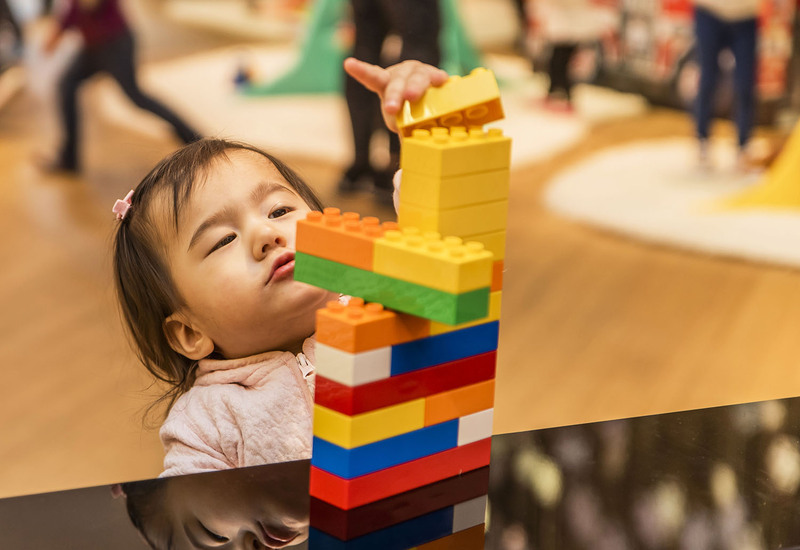 “We saw a white space that was left by Toys “R” Us closing and wanted kids to have an opportunity to come and play with the toys, experience them and see what they like,” says Kelley Gudahl, vp-marketing at Fatherly. 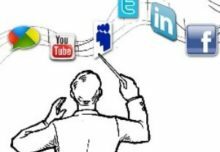 “But it created a whole new meaning outside of it being just about toys and play—parents today want to make sure they’re arming their kids with as much knowledge and information as they can. 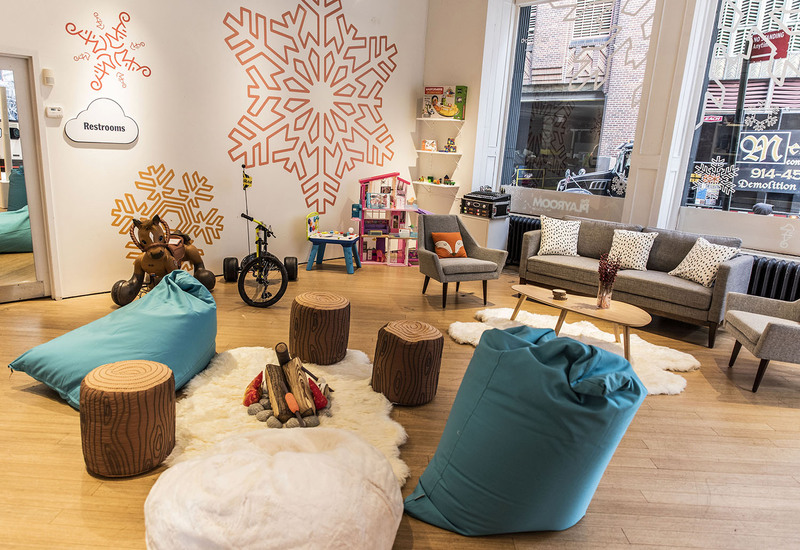 So, having that as a reason to come to the space was really great, and then they also got the surprise and delight of the toys being there.” Agency: CRONY Creative, Brooklyn, NY.